Most states will not allow you to disinherit your spouse. Your will won't be validated or upheld if you try. When you are married, you also lose the option of leaving your spouse only a token amount. 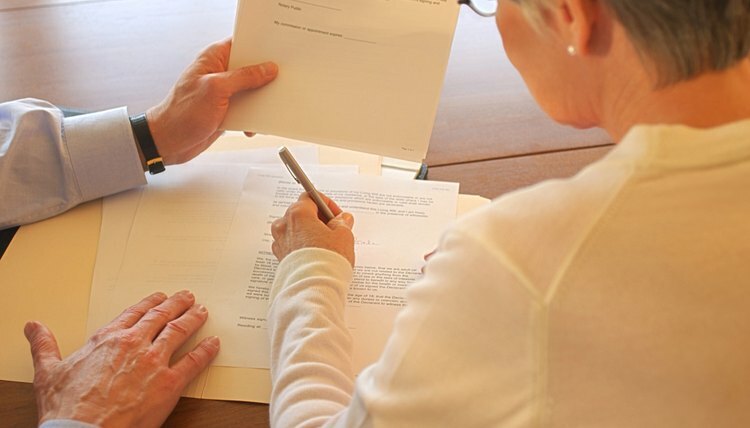 A spouse is entitled to an elective share of your estate, which is a percentage equal to what she would have received if you had died without a will. An elective share is usually between a third and half of your entire estate, depending on your state's particular laws. If you leave her out of your will or leave her less than that percentage, she can make a claim against your estate for it. And she would receive it, even if your will earmarks those funds for children from a previous marriage, unless she signed a prenuptial agreement waiving her rights to an elective share. In that case, the prenuptial agreement would prevail and supersede the law. Many probate courts will make a distinction between separate and marital property when determining elective shares, but even if they do, your heirs may or may not be able to prove that you acquired a certain asset before you were married if you don’t guide them. Prenuptial agreements typically contain an itemization of assets already owned by each spouse when they enter the marriage. A prenup can act as backup to your will even if your spouse did not waive his rights to an elective share. It can help your executor and the court determine exactly which of your property is vulnerable to an elective share claim. In most states, you can legally bequeath premarital property to other heirs. Federal legislation protects the enforceability of both prenups and wills to some extent. The Uniform Probate Code implemented a sliding scale for elective shares as of 2008, allowing for longer marriages to result in larger percentages and vice versa. For instance, if you pass away only two years after you marry and you have no prenup in which your spouse waived her elective share, her percentage would be significantly less than a third to half of your estate. The Uniform Premarital Agreement Act limits the conditions under which a spouse can contest a prenup. If your state has adopted it, such a lawsuit can't be undertaken frivolously. Not all states have adopted these codes, so consult with an attorney to find out if yours does, if they protect you and to what extent. Neither wills nor prenuptial agreements can affect payments made to a spouse via Social Security or Medicaid, according to the American Bar Association. And unless your spouse specifically waives her right to claim an elective share of your estate in your prenup, it will not protect you against such an eventuality.